The Zero Gravity is a position is designed to take pressure off of the spine. Berkline’s Zero Gravity chair elevates the knees to the level of the heart, and brings the spine parallel to the ground. By eliminating all vertical pressure on the vertebrae, the connective tissues surrounding your spine are able to relax making massage far more effective. The 16027 automatically reclines and the back and footrest can be adjusted independently. It scans your body to determine your height and adjusts the massage area to fit. The back rest rail is S–shaped to conform to your body shape. 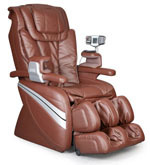 Massage features include Swedish, Shiatsu, kneading, clapping, tapping, rolling, and vibration. 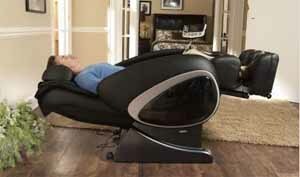 There are six pre–programmed massages, five levels of speed and intensity, and three width adjustments. Partial massage options are also available. The seat has a built–in vibration massage and there is an invigorating air pressure system for the lower body. Massages can be programmed to last from 5 to 30 minutes and the remote will even turn off the chair when the massage is complete. Ground Shipping & Tax Included! - $2699 - IN STOCK! Massage Actions – Swedish massage, Shiatsu massage, kneading, clapping, tapping, rolling, dual–action, vibration, tri–action with 5 levels of adjustability. Zero Gravity – Elevates the knees to the level of the heart and brings the spine level to the ground. 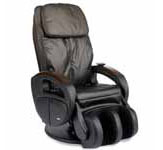 Pre–Programmed Massage – Six pre–programmed massages with customizable strength, speed and intensity. Partial Massage Options – Three partial massage options for the upper middle and lower back area. Air Pressure System – Invigorating air pressure system in back, seat, calves and feet areas. 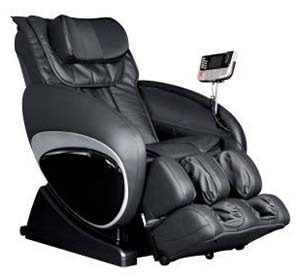 Shiatsu Massage – Shiatsu massage functions for seat, calves and feet. Adjustable Massage Track – The width of the massage area in the back can be adjusted. Auto–Scanning – Automatically adjusts massage specific to the user’s body. Adjustable Footrest – Footrest is adjustable to user’s height. 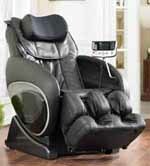 Customizable Massage – Easy to use LED remote allows you to adjust the massage area, speed and rollers. Automatic Angle Adjustment – Angle of the backrest and footrest adjust automatically. 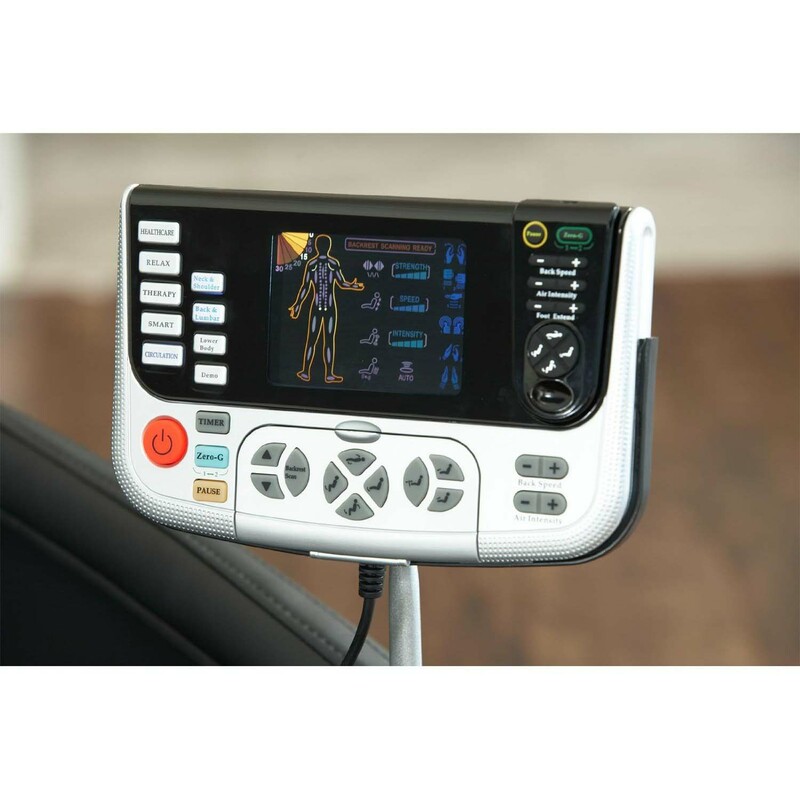 PowerRecline® – One touch button reclines the chair to your favorite position. 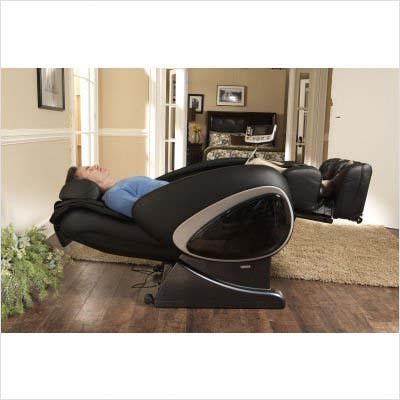 Auto–Shutoff – 5 – 30 minute massage programs with an automatic shutoff. Mini Controller – Also has a wireless mini controller for easy of use. Dimensions: H. 52.5" W. 29.5" D. 57.5"
1 Copyright © 1996-2018 VitalityWeb.com, Inc.